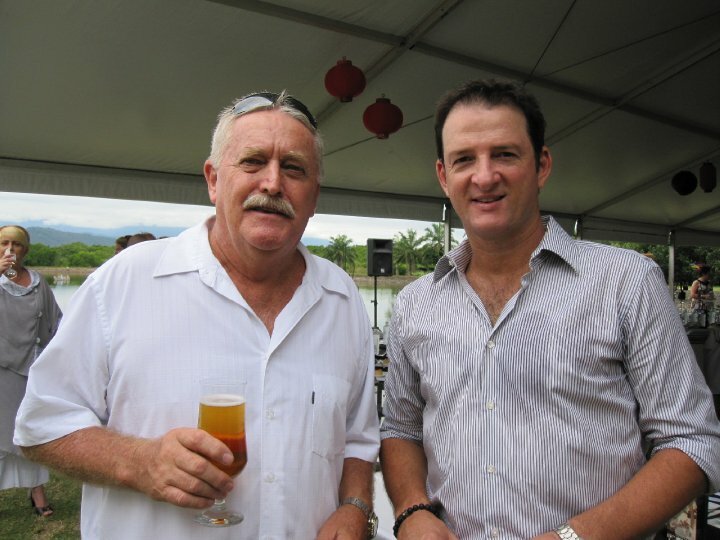 NOT OUT Doug Ryan meets former cricketer Mark Waugh at the Sheraton Mirage Longest Lunch at the Port Douglas Carnivale. The annual Port Douglas Carnivale is now in full swing, as thousands attended the weekend parade and longest lunch on Friday. The show runs till next Sunday 30th, with some of the 50 events offered, already booked out. Sophie Stevenson was crowned Miss Carnivale 2010, who joined Port Douglas Carnivale ambassadors Samantha Robertson, and winner of the People’s Choice Award, Melanie Boon. Port Douglas Carnivale on Facebook.